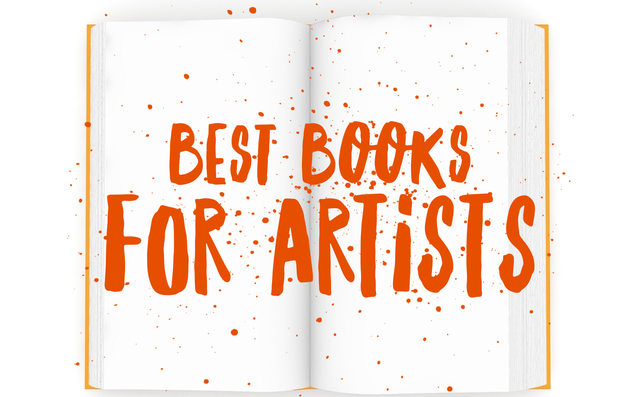 Discover the Best Books for Artists, Recommended by Artists! Artsy Shark presents a compelling list of books on the topics of art marketing, business, studio practice, creativity and inspiration. These top picks are recommended by artists for their outstanding content. Click on any title to learn more about the book and author, or to make a purchase. Artsy Shark is an affiliate of Amazon. by David Bayles and Ted Orland. This is a classic about the struggles that all artists have, and the “why” behind creating art. These authors share their depth of experience in a straightforward read that is inspiring. Highly recommended. by Maria Brophy. Easy to read and filled with strategies and encouragement, this new book will help any artist gain confidence and overcome challenges when speaking about their work and marketing to their audience. by Lisa Congdon and Meg Mateo Ilasco. This is a practical guide to creating a career as a successful artist with a profitable business. Includes information about different business models, and industry specific advice. by Elaine Grogan Luttrull. This engaging guide to money matters for creatives includes topics such as budgeting, financial management, taxes and other money matters that can prove challenging to entrepreneurs. Her approachable style makes this a palatable read that is also extremely helpful for your small business. by Elizabeth Gilbert. This bestselling author takes on the subjects of creativity and inspiration, encouraging readers to embrace curiosity, face down your fears and fill your everyday life with more mindfulness and passion. by Tad Crawford. Super useful book that provides forms such as artist-gallery agreements, commission agreements, contracts of sale, leases, and more with step-by-step instructions, checklists, and advice on negotiation. by Nikolas Allen. Using humor and a conversational tone, the author introduces marketing concepts, with step-by-step strategies for artists. He educates and inspires creatives to succeed with ideas and insights that really work. by Steven Pressfield. Getting your creative work done is the focus of this book, which gives you the tools to take action and finish long-term projects. It helps you identify resistance points along the way and overcome them. by Nancy Crawford. The premise of this book is how to become the ideal art student candidate, written by an adviser who spent 25 years doing just that. She also explores the creative process, and gives examples of ways to produce a portfolio worthy of a scholarship. by John Sloan. This classic tome is well known for information on art theory and studio practice. The author discusses concept and technique from his viewpoint as an esteemed art instructor. by Barney Davey. 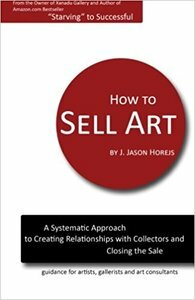 This popular expert focuses on helping the reader build successful relationships directly with collectors, developing a loyal audience through marketing and networking strategies. by Corrina Thurston. Artists dealing with health issues or limited time to pursue a business will appreciate this book, by an author with a chronic illness who has been able to build a successful business herself. She’ll help you plan, organize, and work smarter to make the most of your energy and effort. by Jason Horejs. The author, a gallery owner, gives step-by-step instructions on how to embrace a sales mindset. Learn how to become comfortable speaking with potential collectors, understand buyer psychology, and improve your sales. by Cory Huff. Solid information on putting together an art website for e-commerce, other internet options, and marketing strategies ranging from email to social media. by Caroll Michels. 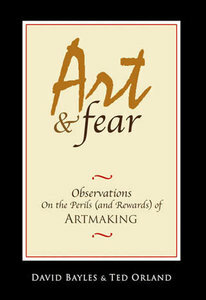 A classic handbook, now in its seventh edition, on taking control over your own art career. She presents strategies for getting into a gallery, negotiate, marketing your art, and making sales. by Alyson Stanfield. Just getting started? Not sure how to make it all work? This book is like a business class for artists with ideas and strategies for marketing, writing your artist statement, social media and more. by Walter Isaacson. A brilliant profile of one of the greatest creative geniuses in history. Filled with insights into the mind and life of da Vinci, it shares his love and obsession with art and science, while portraying him as a man with dreams, ambitions, and faults. Belongs on every artist’s bookshelf! by Sharon Louden. This unusual book is filled with narratives that tell the stories of 40 artists. Through those stories, it becomes evident how to sustain a commitment to creative practice and persist despite challenges. Inspirational and motivational. by Brainard Carey. 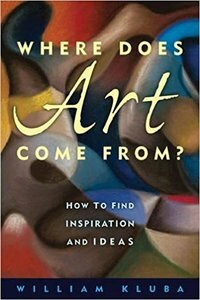 Insights on how to succeed as an artist from an author who has written several books on this subject. This book covers presentation of your work, building relationships, working with patrons and more. by Mark McGuiness. What brings you joy as an artist? 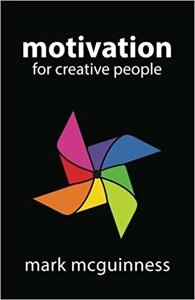 This book explores the creative flow, finding inspiration, as well as personal and social motivations and influences. Chapters includes overcoming obstacles like professional jealousy and discouragement. by Jack White. 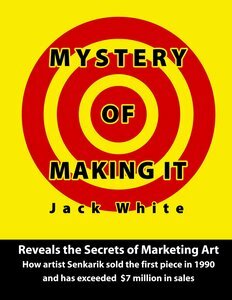 Written by one of the most popular artist/storytellers of our time, this book shares his gift of communication while imparting straightforward insights on marketing and selling art, and earning a living doing what you love. Lessons in this book apply to living as well as business. by Jeff Goins. 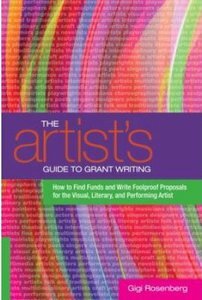 This books debunks the myth of the starving artist, encouraging readers to collaborate, take risks, and earn what they are worth. It blends inspiration with practical business strategies, explaining that creativity is a powerful tool for success. by Sarah Thornton. This fascinating book takes the reader deeply into the contemporary art world, in seven different arenas from art fairs to auctions to galleries and studios of the elite. by Austin Kleon. “The process of art is that the work is an interaction between you and the person that is going to experience the work.” The author encourages readers to share their process from inspiration to studio work to work on the gallery wall, in a collaborative spirit. by Jackie Battenfield. The author/artist writes from her experience, and with plenty of case studies. Filled with planning strategies for building an art business. Information on marketing, promotion, grant writing and more. Each chapter has a “reality check” at the end. by Gigi Rosenberg. Solid advice on how to write grant-winning applications, and tap into resources to help you finance the business of your dreams. Information on artist bios, resumes, residencies and more. by Julia Cameron. An international bestseller, Cameron’s book has been called the “seminal book on the subject of creativity.” It shares a 12-week program with the reader that unlocks creative forces and overcomes challenges such as fear, limiting beliefs, jealousy, and self-sabotage. Consistently receives glowing reviews from readers; highly recommended. by Daniel Grant. This book by well-known art writer Grant is in it’s fifth edition, and covers real-life situations in depth, such as developing relationships with galleries, overcoming rejection, understanding selling opportunities and venues, and speaking with collectors. by Twyla Tharp. Written by a choreographer but suitable for any artist, this book explores the ways that you can make creativity a habit in your life, by using practical exercises. 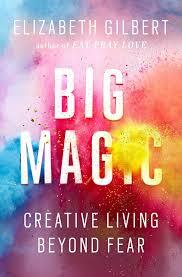 Addresses roadblocks to creativity, such as self-doubt and fear, and how to overcome them. by Michael Gerber. Just because you know how to make art doesn’t mean you know how to sell art, or be in business as as artist. This is common among entrepreneurs. The author takes you through steps of a precise plan to get consistent results that leads to success. by Bob Burg and John David Mann. This book is written like a parable, and is an easy read that makes big impact. People do business with people, and connecting is important. This book helps you reframe your approach to dealing with everyone, leading to receiving the assistance of the network you have developed. by Steven Pressfield. The author shows you how to seize your potential, and develop creative discipline to accomplish your goals. Identifying seven stages of the creative process, he inspires artists to overcome resistance and get it all done. by Napolean Hill. A business classic, this small book was written in 1937 and endures as a life-changing bestseller to this day. The author teaches basic techniques of the “Law of Success” with self-confidence builders and developing a mindset that allows you to accomplish your goals. by William Kluba. What is the origin of ideas and inspiration? This book is filled with exercises to spur the creative process, talks about intuition and channeling fear into a positive energy. Easy to read and motivational, it helps you get in touch with your own personal direction.